Homeless and desperate, Monique Abraham spent the day yesterday rummaging through the ruins of her home for anything she could salvage. 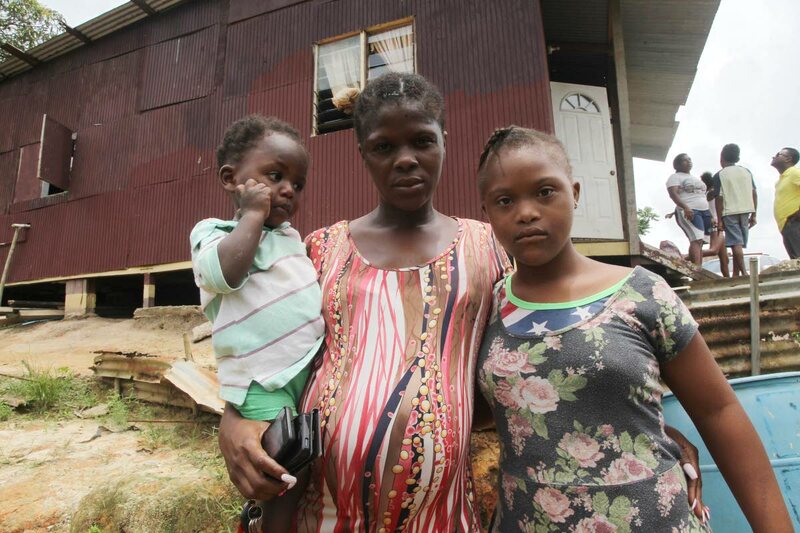 Abraham, her husband Ricardo Abraham and their 20-month-old son were asleep in the early hours of Tuesday when their wooden home collapsed with them inside it. Her 13-year-old daughter, Jessica Johnson, who has Down syndrome,was not at home at the time. Abraham, who is seven months pregnant, made a public appeal for assistance yesterday but said none has been forthcoming. “Nobody called or anything. We are here trying to rip open the side of the house to see what we could get from inside that didn’t mash up,” she said. She said the Disaster Management Unit of the Couva/Tabaquite/Talparo Regional Corporation gave her two mattresses and two blankets. The Ministry of Social Development also called her in for assistance with clothing. “We glad for the mattresses and clothes, but we desperately need help to build back a little house,” she said. If you would like to assist Abraham and her family, you can contact them at 396-1886 or 320-0376. Reply to "Homeless Ravine Sable family pleads for help"